Fact Meets Fiction: A Discussion of "Frankenstein" and "The Immortal Life of Henrietta Lacks"
Side Effects Public Media and the Indianapolis Public Library hosted a discussion of the themes present in two books -- one fiction and one fact. In the first, "Frankenstein," scientific curiosity (and madness) led to the creation of what some called a monster. In "The Immortal Life of Henrietta Lacks," scientific curiosity motivated doctors to harvest and culture cancer cells from Mrs. Lacks without her knowledge. The consequences for Dr. Frankenstein were destructive; the HeLa cells, as they are called, enabled countless medical advancements. One of them is an HPV vaccine, which widely prevents cervical cancer, the disease that led to her death. The use of HeLa cells raised questions regarding informed medical consent and access to care. 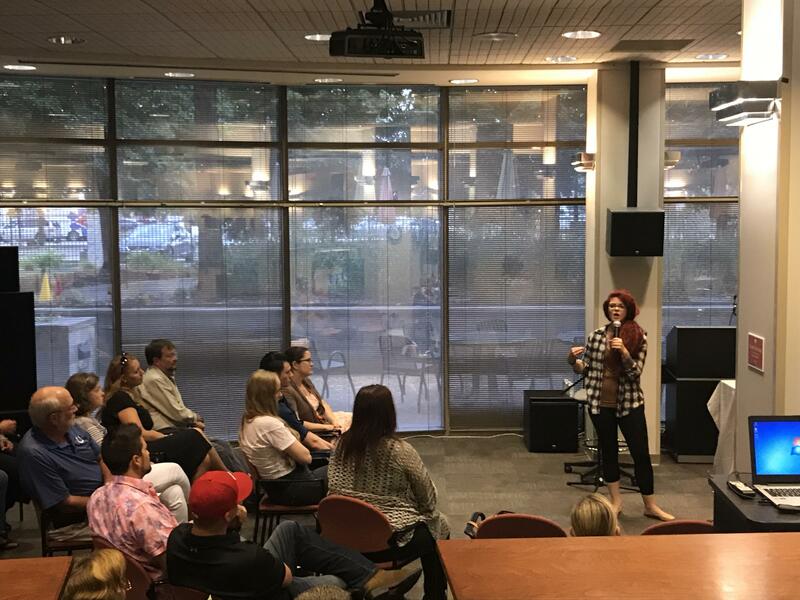 Six storytellers shared personal, genuine stories of life before and after the turning point into recovery. Grit, perseverance, and resiliency were highlighted, along with change and growth. Richmond, Indiana, Mayor Dave Snow addresses the group at Reid Health on July 24, 2018. Community stakeholders and nonprofit leaders met Tuesday afternoon at Reid Health to discuss children and food insecurity in Wayne County. The event was sponsored by Side Effects Public Media and the United Way of Whitewater Valley. Read Side Effects' coverage of the event. Three Years After Scott County: What Has Indiana Learned From A Historic HIV Outbreak? 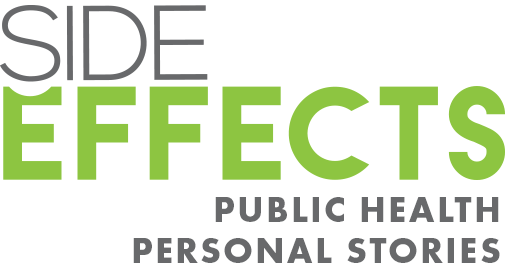 On May 1, 2018, Side Effects Public Media hosted a conversation exploring the impact of a 2015 public health crisis in Indiana. What was the statewide response, and have communities taken the lessons of Scott County to heart? The morning began with Brittany Combs, Scott County public health nurse, exploring the before and after as a public health nurse. Indiana’s FSSA Secretary, Dr. Jennifer Walthall, followed providing updates of what is being done in Indiana by connecting resources and offering new programming statewide to improve public health. We closed out the event with a panel addressing addiction treatment, harm reduction, and prevention at the grade school level. Panelists were Tonja Eagan, Carrie Ann Lawrence, and Dennis Watson. The panel was moderated by Jake Harper. This event happened on Feb. 13, 2018 and it was a virtual panel discussion. When a New York State Senator said, “It’s not a ghetto drug. It’s happening to doctor’s kids,” he was referring to opioids. He was also describing two mindsets – one focused on criminality, the other on treating a disease. And many perceive racial and ethnic implications in these two ways of thinking about the opioid epidemic. 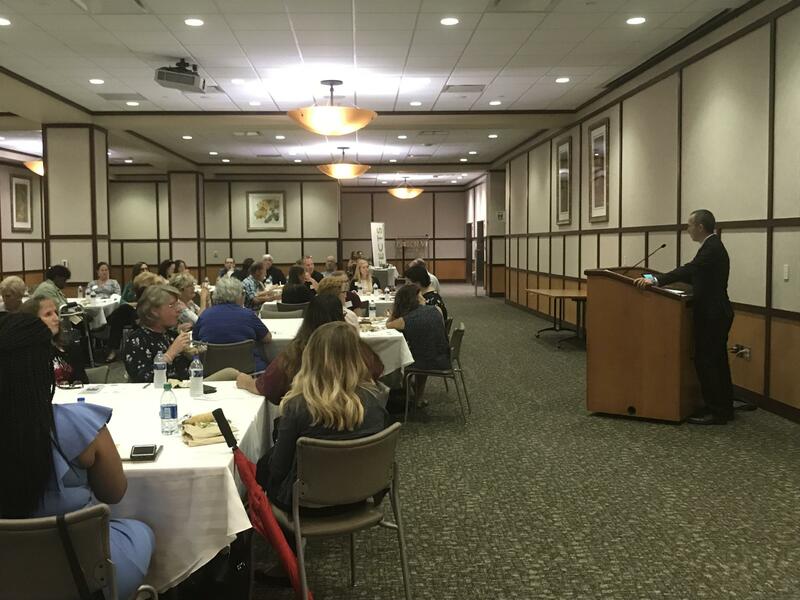 The topic is explored in a conversation hosted by WFYI’s Side Effects health reporting unit in partnership with the Indiana Minority Health Coalition. Guests: Dr. Jocelyn Bush, MD, Brad Ray, PhD, Ronald Sullivan, and Joselyn Whitticker. The panel was moderated by Michal Twyman. The topic of this event was prescription drug monitoring programs, prescription guidelines and pain management. You can find our reporting related to this topic here and here. Kicking off this event was Jim McClelland, who serves as the Executive Director for Drug Prevention, Treatment, and Enforcement for the State of Indiana. This presentation focused on an overview of the opioid epidemic and its impact in Indiana. Mr. McClelland spoke about how Indiana is dealing with this complex problem by leveraging resources strategically to make a positive impact. He also touched on legislation and the state’s work in regards to prescription guidelines and Indiana’s prescription drug monitoring program INSPECT. Following was Chris Harle, PhD, an associate professor in the Department of Health Policy and Management at the IU Fairbanks School of Public Health. In his presentation entitled “Opioid Prescribing Decisions: Patients, Providers, Pain and Prescription Drug Monitoring Programs”, Dr. Harle shares research and data highlighting workflows and challenges for clinicians. Lastly is the panel discussion followed by a Q&A session. This panel explores how Indiana can help health care providers manage patients’ pain without fueling addition, with an emphasis on prescription drug monitoring programs, how they are used, and what potential they have. Panelists were Brad Ray, PhD, Dr. Jennifer Buehrle, and Dr. Christopher Suelzer. The panel was moderated by Sarah Fentem. This Side Effects Public Media event focused on end of life care, and the value of planning for it in advance. You can find our reporting related to this topic here and here.